We all at one time or another have had to deal with a clogged sink whether it is in the bathroom or the kitchen. What an inconvenience this causes and it is a messy job. First you may want to try to use a bathroom plunger to try to get the clog loosened. The same way you would plunge a toilet would be the way to plunge the sink drain. If that doesn’t work, we could start top get nervous. It is now onto the next step, which is the good old-fashioned drain cleaner. We often panic about drain cleaner is the best, we hope that a drain cleaner will do the job because if it doesn’t then we feel compelled to find a plumber and this will cost you a lot of money. So why not choose the best drain cleaner and give that a chance and not buy a cheaper version and try to skimp on the product. The cheaper products don’t often work as well as the full strength drain cleaners do. Wouldn’t it be worth the money to spend a bit extra on the product and less money on the plumber? These products can be found in most local supermarkets, Target, Wal-Mart, Home Depot and Lowe’s locations. The best drain cleaners of 2009 are Liquid Plumr, Drano and an Earth Friendly Product called Natural Earth Enzymes. Each product has their own selling points and why homeowners, renters and business owners choose these products over all the rest. You may not believe that these products could save you money but isn’t worth the try and if you have to spend maybe $15 to $20 on a drain cleaner that works it would still be better than spending $ 80 and more on a plumber. 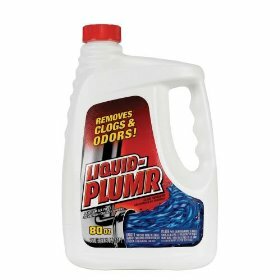 Liquid Plumr has been around for many years and there isn’t a clog that Liquid Plumr can’t unclog. They have 5 different products; they are the Power Jet, Liquid Plumr Gel, Liquid Plumr Foaming Pipe Snake, the Original Liquid Plumr and Liquid Plumr Kitchen. The Liquid Plumr Power Jet is simply unlock the cap, cover the overflow vent in the sink and then place the product over the drain. A strong yet powerful stream of Liquid Plumr will eject right into the drain. The clog will clear up in minutes. If you prefer a more traditional approach to drain cleaning try the Original Liquid Plumr, add the recommended dosage into the drain and wait for 15 minutes, if there is standing water in the sink the clog will clear up and the water will start to drain. The flush with hot tap water and repeat if needed. If the clog is stronger than thought you may have to perform the steps again. The same process works with the Gel and for the Kitchen formula. For tougher clogs try the Foaming Pipe Snake, for this you will pour the whole bottle into the drain. You will see foam start to appear, it will fill the pipes and you will see it in the sink or drain. If the drain is just slow, it could take an hour to see results and if the drain is clogged you will just have to wait until the clog dissipates. Liquid Plumr is a name you can trust, their products are high quality and high performance you won’t be disappointed. Drano is recommended for bathroom, kitchen and even laundry sinks. 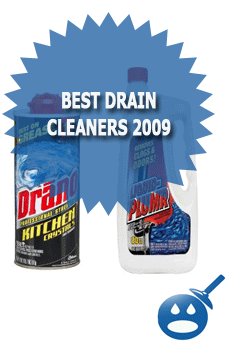 There are 5 different products available from Drano. The first is Max gel Remover, Dual Force Foamer, Liquid Clog Remover, Kitchen Crystals Clog Remover and Prevention. The Drano Max Gel Clog says they are 50% thicker than the Liquid Plumr products. 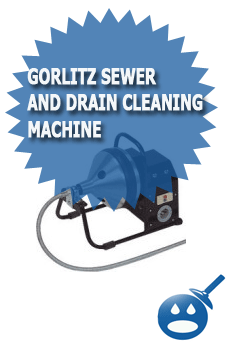 It is designed to cut through the clog and unclog the drain in minutes. Drano products have a special secret ingredient that allows the pipes to be protected from rust and corrosion. Drano Dual Force Foamer will fill the pipes with foam that can cut away at clogs that sometimes liquids can’t get to. This product will work well with kitchen and bathroom clogs. Simply pour the foam into the drain and it will start to work right away. The foam will coat the pipe and not corrode them. Then add a blast of hot water and that will flush away the small debris or remnants from the clog. 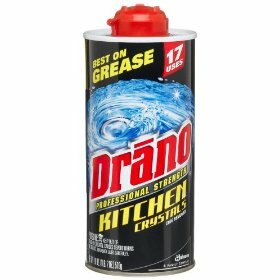 The Drano Kitchen Crystal formula is perfect for those hard to get clogs in the kitchen sink. This product works great on grease and kitchen clogs. These crystals work with cold water to stimulate the clog, then the heat from the crystals will break down any greasy clogs that have formed. Then send a blast of cold water through the drain to get rid of anything that may be left in the drain. It is really that simple. If you are one of the people who prefer to use earth friendly products and you have a clog in your home, we have just the product for you. The Natural Earth Enzyme, this drain cleaner works to break down food particles, grease, fats and even waste without the use of chemicals. This drain cleaner contains a non-acidic, non-caustic formula. It will eliminate odors and it is non-toxic. This product is 100% safe and natural way of opening up your drains and is perfectly safe for the environment. These products are not tested on animals and they do not have animal ingredients. This product can irritate the skin and eyes mildly, flush eyes immediately and do not let children near this product. The instructions are easy, add two cups of the Earth Enzyme product with 2 quarts of warm water, and use a separate container. Then make sure that the product has dissolved, now pour down the drain. You must allow 24 hours for this product to work. Then flush with water to get rid of the remaining clog. Finding a drain cleaner isn’t too hard not with these three suggestions. Each product has an impressive product inventory. Any one of these products would take care of any easy to stubborn clog that you have. You can find Drano and Liquid Plumr at any Home Depot and Lowe’s location. 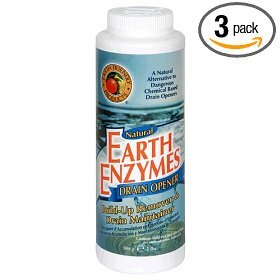 The Natural Earth Enzyme Drain Cleaner can be found online. 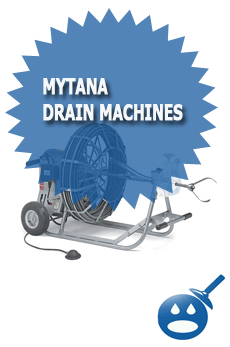 It would be a great idea to have a drain cleaner in the home; you never know when you are going to need something. Sometimes these clogs happen early in the morning or late at night when we can’t get to a store. It can’t hurt to have drain cleaner in the house. It could save you money on a plumber, especially in the middle of the night. 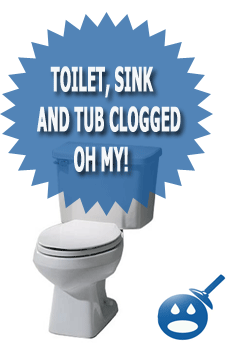 Toilet, Sink and Tub Clogged Oh My!